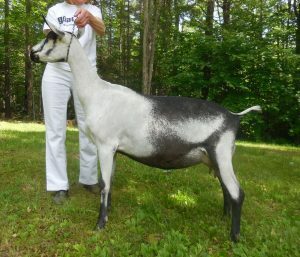 Merilee is a strong-boned yet very dairy young doe with excellent width throughout and correct leg set. In the one show we attended in 2017, she placed 1st and went on to be chosen Reserve Junior Champion! 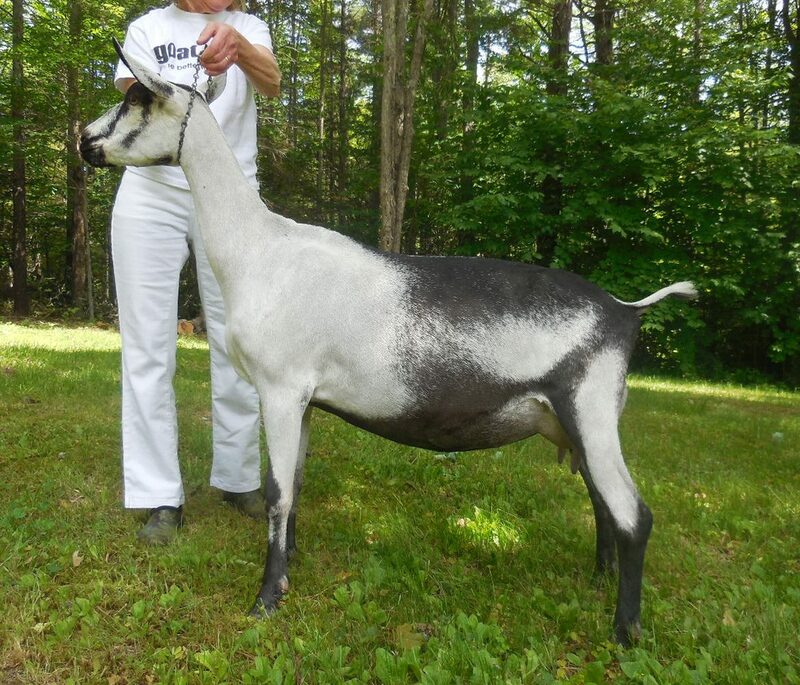 Merilee freshened with a beautiful and “socked on” mammary this spring., and placed first in a large yearling milker class at the 2018 SVDGA show, our only show of the season. We decided to breed her back early this season hoping to see her come into stronger production as a second freshener.